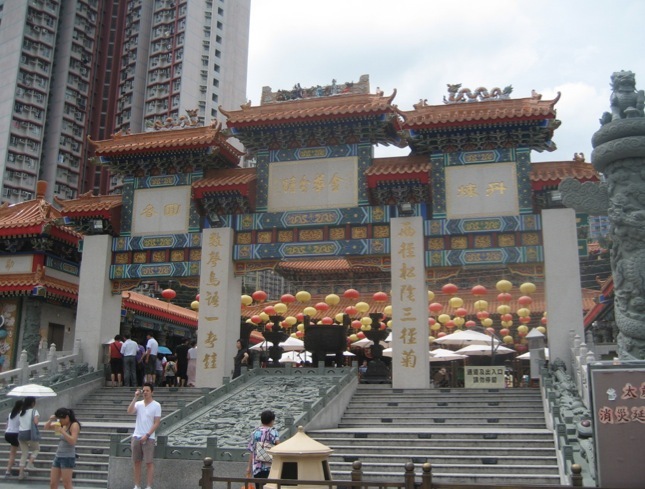 Sik Sik Yuen Wong Tai Sin Temple is located in Wong Tai Sin in Kowloon, next to the MTR station. 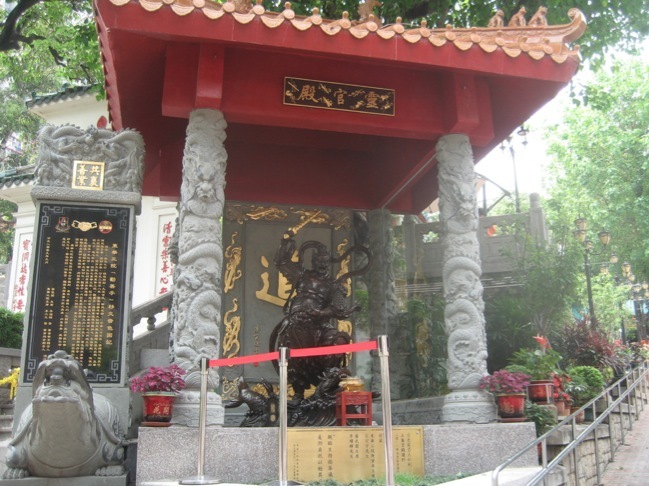 The name is a combination of the organisation (Sik Sik Yuen) who run the temple and the Wong Tai Sin, who is commemorated at the temple. 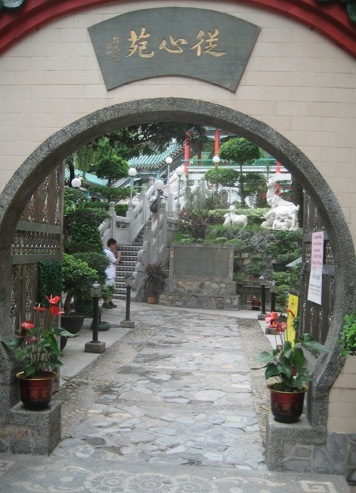 Wong Tai Sin was born in the 4th century and at the age of 15 decided to dedicate his life to Taoism. Around 40 years later, he achieved enlightenment and became immortal and was said to heal the wounded and sick. 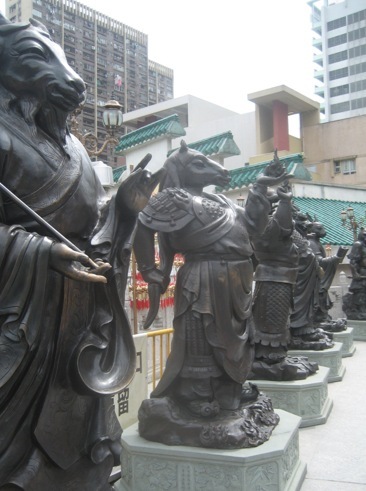 Stories about his actions, mercy and power spread to Hong Kong, where he was also worshipped. 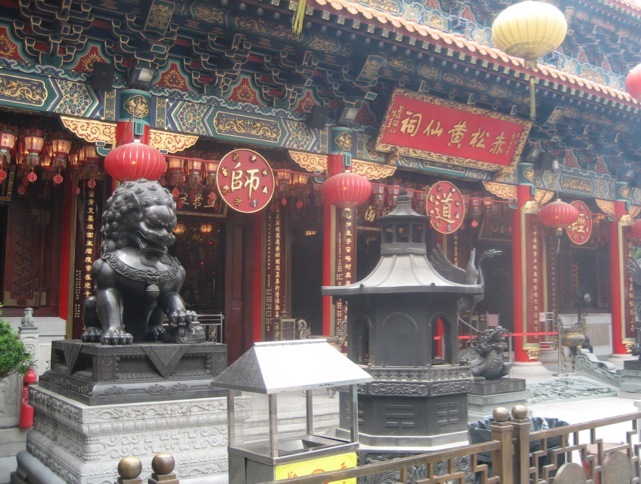 The temple is built in typical Chinese style with grand red pillars, blue friezes, multi-coloured carvings and a golden roof. It is about 18,000 square metres large and besides the main altar and grand hall there are several other attractions. We walked around the temple and had a closer look at the Three Saints Hall, the Nine Dragon Wall and the Good Wish Garden. 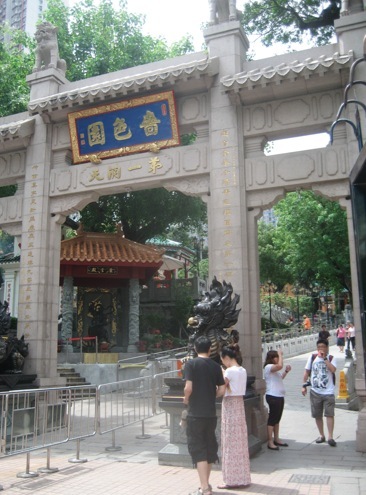 One of the main reasons that Wong Tai Sin Temple is the most visited and worshiped temple among all the Hong Kong temples is that if you make a wish here, the chance that it will come true is very high. (I’ve been told!). 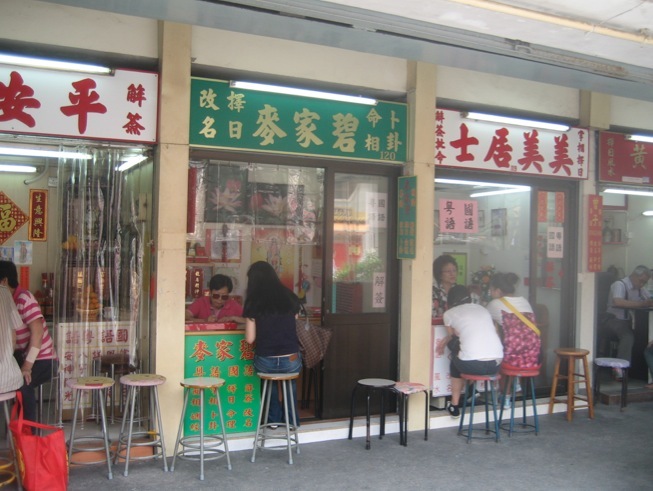 Fortune-telling is another main reason the temple is well-known. 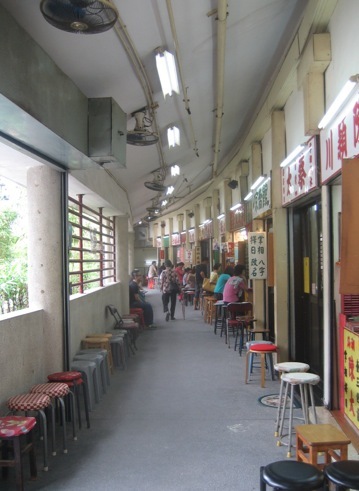 It is said that the accuracy of the fortune telling in this temple is very high and accurate – but we did not test it. There were around 70 booths to visit, a few had English signs and we were asked to sit down. It would have been interesting to see what future they would see for us, but we were tired and it was a hot humid day, so we moved on. We walked up the steps to the main hall and watched some of the worshippers shaking sticks (to find out about their future), burning incense or just praying. The fog that you can see on the next picture is actually incense burning, there was so much (and it was not even a holiday) that we had to quickly move on! 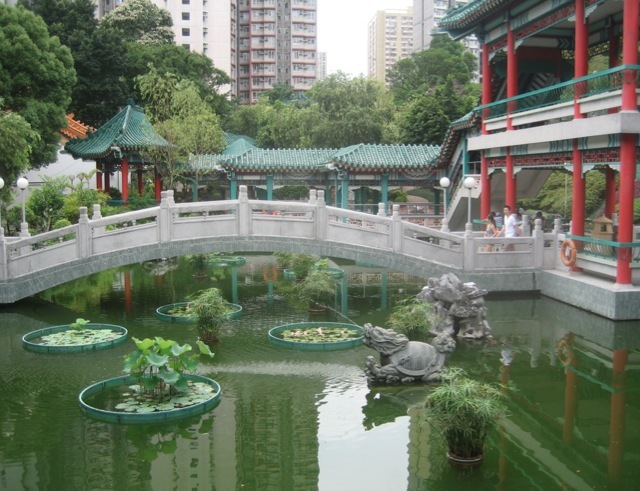 We walked through the Good Wish Garden (which costs 2 HKD donation) and it was a really nice well kept garden with lots of plants and a koi fish pond. We walked across some bridges, sat in the shadow, took a few pictures and just enjoyed the quietness of the garden, after the hustle & bustle in the main temple area. MTR Wong Tai Sin Station Exit B2, walk for about two minutes.